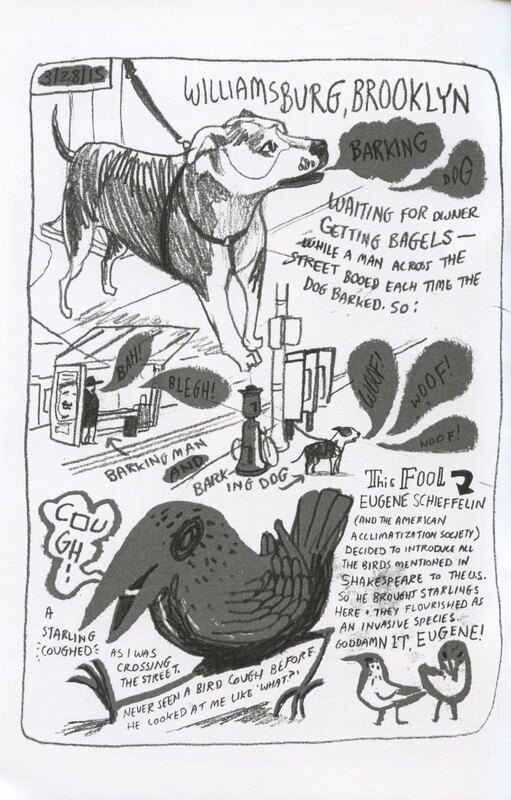 Overheard and observed life in New York City. Category: minicomics. 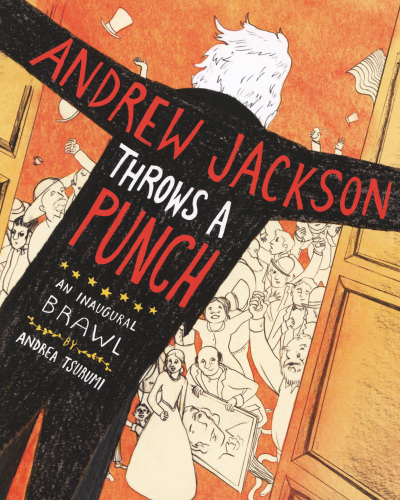 Genres: Art & Design, Autobiography & Memoir, Humor, Mature Content, Nonfiction. Concerning: subways. 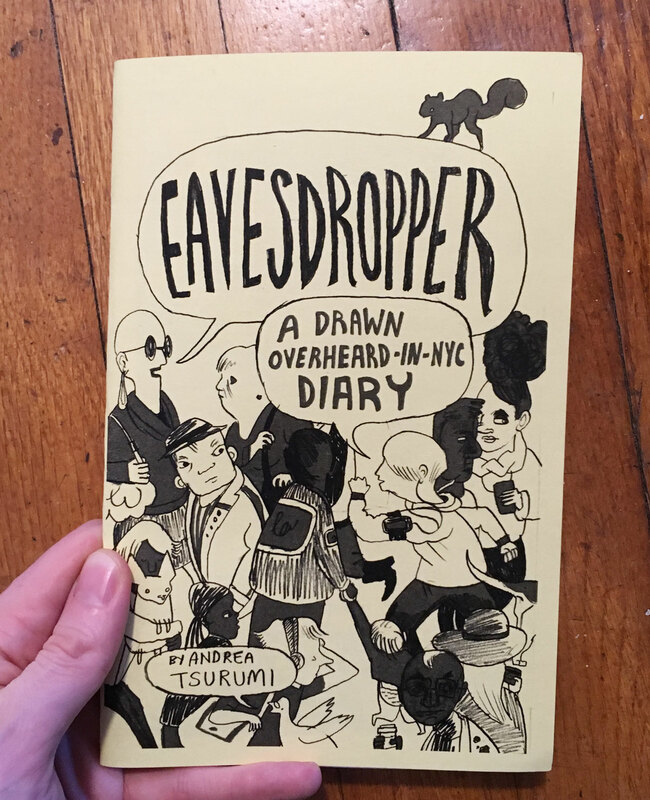 Andrea Tsurumi’s Eavesdropper collects diary comics of her observations of life in New York City in the spring and summer of 2015. 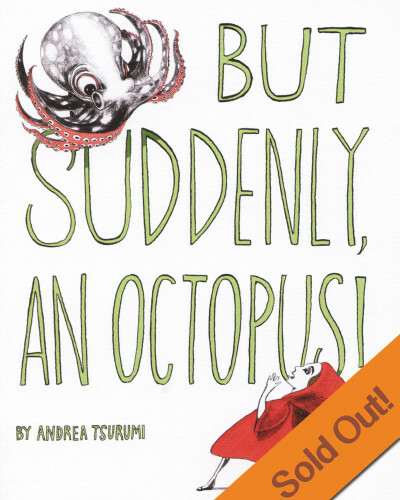 Found in meandering streams of consciousness and creatively laid-out pages, are highlighted moments when Andrea’s life intersected with those of strangers. 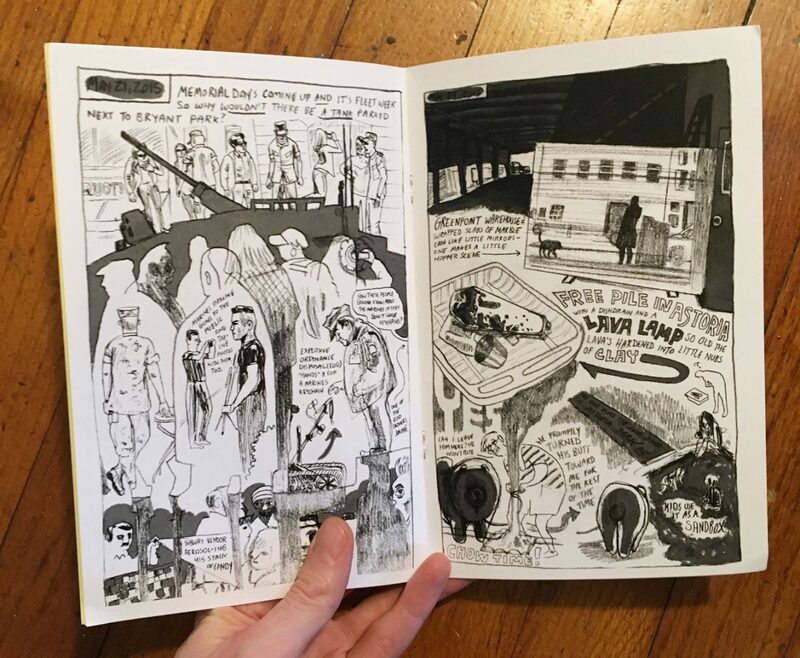 Unlike most diary comics, which often center around the author, Andrea turns the lens out to the city she inhabits and the strangers who share the space with her. 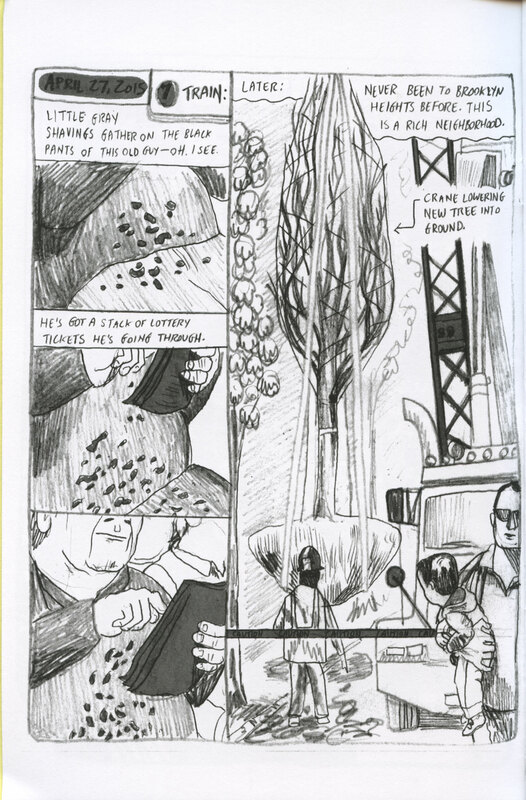 In fact, Andrea tends to draw herself as an empty silhouette, removing herself from the pages. 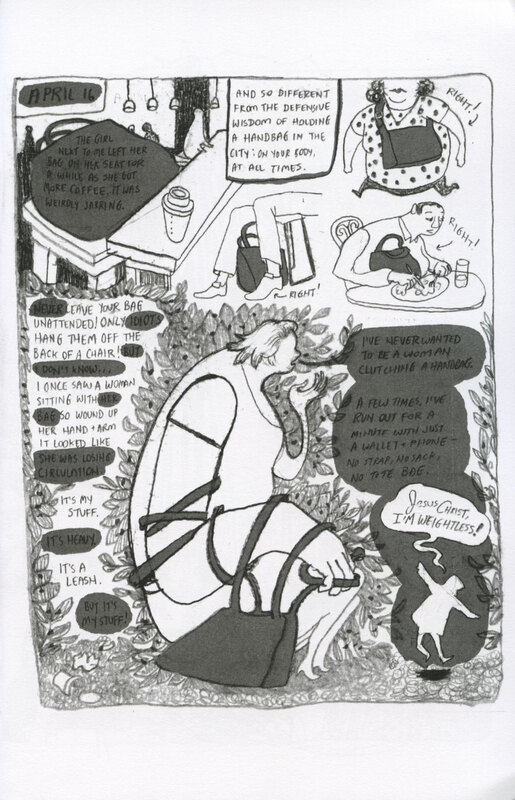 Like so much of Andrea’s comics, they nontraditional layout and storytelling makes it more fun to read!